Our chart of the best korean pro teams and players. What team is the best in South Korea and why? Learn in our guide! In this “Best LoL Teams” article we will cover Korea. 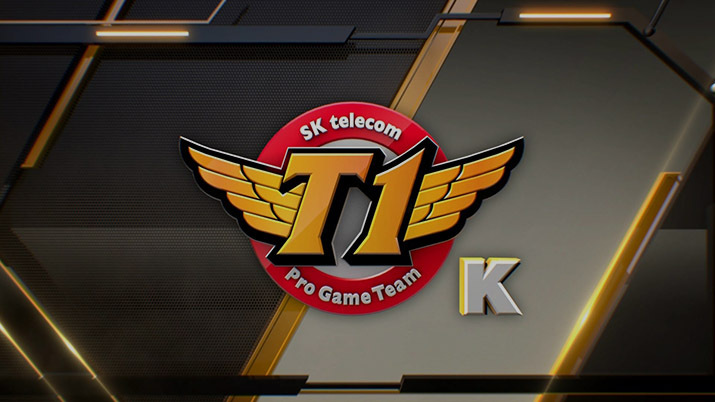 This region’s best teams right now are SK Telecom T1, CJ Entus and KT Rolster. Boosteria service often provides massive discounts on lol boosting. SKT T1 was once considered the best LoL team in the world because they took 1st place in the Season 3 World Championship. They seemed to struggle in Season 4, but they look really strong so far in the 2015 Season. SK Telecom T1 is composed of MaRin in the top lane, Bengi in the jungle, Faker in the mid lane, Bang as marksman and Wolf as support. MaRin started his esports career by signing with SKT T1 S in 2013. After the two teams were made into one he remained as their starting top laner. He is known for his tanky, crowd control heavy champion pool and he is a feared opponent on Summoner’s Rift. So far in the Summer Split he has played Rumble and Maokai, but he has also shown a proficiency for Gnar and Hecarim in the Spring Split. These picks reflect his preference of tanky champions who pose a big damage and crowd control threat. Bengi is a former LoL World Champion and star jungler for SKT T1. Known for his supportive jungling style that focuses more on feeding his solo lanes than getting himself ahead, Bengi is a core component in SKT’s run for a spot in the 2015 season World Championship. His most played champions in the Summer Split are Gragas, Rek’Sai and Evelynn and in the Spring Split he has played a lot of Jarvan, Lee Sin and Sejuani. Bengi’s play style reflects into his champion pool, all his most played champions being able to gank and secure vision very effectively. Faker is SKT’s star player who is also considered to be the best mid laner in the world. Faker was integral to SKT T1 K’s 1st place finish in the 2013 LoL World Championship and the OGN Champions league. Mainly favoring assassins in the mid lane, Faker has dominated his competition over the years. In the Summer Split he has shown us Kog’Maw, Viktor and a weird Irelia pick. In the Spring Split, Faker has played champions such as Ezreal and Le Blanc, while in the Playoffs he also played Lulu. These picks tell us that he is still a fan of assassins but is also able to play champions that prefer sitting in the back line and dealing tons of damage from there. Bang began his professional gaming career in 2012 with NaJin Shield and Xenics Storm before joining SKT T1 S in 2013. When the two SKTs merged he was paired with Wolf in the bot lane and their partnership had flourished, becoming one of the most feared bot lanes in LCK. His most played champions so far in the Summer Split include Corki, Lucian and Ezreal, while in the Spring Split he had preferred the likes of Corki, Sivir and Kalista. The picks he takes work very well with his play style which is very aggressive: he thrives on the opportunity to fight enemy champions and deal a lot of damage from safe spots, even if these places are close to his opponents. Wolf is another player who played with NaJin Shield in 2012 and then signed with SKT T1 S in 2013. Shortly after he joined, the organization was restructured, and Wolf found himself on SK Telecom T1 alongside Bang. In the Summer Split, Wolf preferred champions such as Alistar, Janna and Thresh while in the Spring Split regular season and Playoffs he played some Annie games too. His champion pool shows us that he likes to be aggressive, just as Bang. He enjoys initiating fights, but also likes to peel for his team mates. SK Telecom T1’s play style very much revolves around the fact that their laners are very good and that the only way they can lose a game is if they lose team fights, vision control or objectives. This is where Bengi and Wolf come into play. Their vision and objective control makes it hard for their enemies to secure anything and their aggressive play style translates into ganks which push their lane phase advantage even farther. 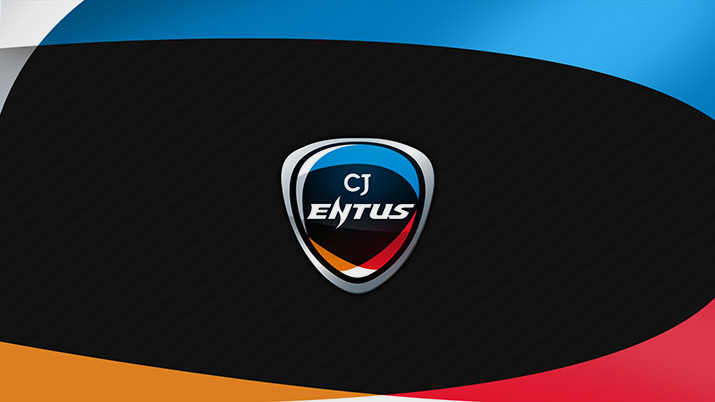 CJ Entus is one of the oldest teams in the Korean esports scene. From MiG Blaze and MiG Frost, they became CJ Blaze and CJ Frost and now, since Riot pushed in rules against having two teams in a championship series, they merged into CJ Entus. CJ Entus is made of Shy in the top lane, Ambition in the jungle, CoCo in the mid lane, Space as marksman and MadLife as support. Shy is one of the best top laners in the world. He is skilled at every aspect of the top lane, from farming and skirmishing with the enemy laner to lane swapping effectively. Shy’s most played champions so far in the Summer Split are Rumble, Maokai and Shyvana while in the Spring Split he played some games as Dr Mundo. These tanky, yet able to deal damage picks make Shy a huge threat in every team fight. He enjoys playing champions who do great in the laning phase and wreck enemies in team fights. Ambition is a mid laner turned jungler. As a mid laner he showed good results, having great mechanics and a smart play style. This didn’t change with his role switch. His champion pool in the Summer Split consists of Nunu, Lee Sin and Rek’Sai so far, while in the Spring Split he had played a lot of games as Jarvan. CJ’s jungler is focusing on ganking for his laners and warding the map so that they can take objectives easily. CoCo started his esports career in early 2013 playing for Xenics Storm. His performance made CJ Entus pick him up to play on Frost in 2014. Since then since the present he is part of CJ Entus. His most played champions this Split so far have been Azir, Cassiopeia and Jayce and in the Spring Split he has also played LeBlanc and Kassadin. These picks make us think that he is a player who enjoys poking at his enemies while still having a good all in. He prefers champions who either have crowd control, mobility or both of them. Space is a veteran in the esports scene. He started his career in 2012 for NEB and after that he played on the original CJ Entus team. He was one of the few players kept to play with the Frost and Blaze teams. He was a sub for Frost in Champions Spring, before becoming the starting AD carry in Champions Summer. Since 2014 he is playing on the unified CJ Entus team. His most played champions so far this Split are Vayne, Sivir and Jinx while in the Spring Split he preferred playing the likes of Corki and Ezreal as well. His picks are very varied. He can play champions who must get close to deal much damage, but he can also play safer champions who can deal a lot of damage from the outskirts of a battle. Madlife is Korea’s most popular pro player. He is very well known for his great skill shot aim and capability of carrying from the support role. He is so impactful that opposing teams will often try to ban him out entirely. Madlife is often referred to as ‘God’ by Korean fans, a title earned many times over by this incredible talent. The God’s most played champions this Split are Thresh, Nautilus and Janna, while on the previous Split he had also played some Nami games. As we all know, these champions have little to no targeted spells, thus Madlife is capable of using his skill shot talent to make plays that either destroy the opposition or save his team. CJ Entus is a team that focuses around getting going early on and closing out games by using their skillful initiators to start up fights they cannot lose. KT Rolster is another one of the oldest teams in Korean esports, beginning with StarCraft: Brood War and then continuing with LoL and StarCraft 2. Their LoL team is composed of Ssumday in the top lane, Score in the jungle, Nagne in the mid lane, Arrow as marksman and Fixer as support. Ssumday was the top laner for KT Rolster Bullets. On October 7th, 2013, he was moved to their sister team KT Rolster Arrows to top lane for them and now he is playing on the unified KT Rolster team. He has played Maokai, Hecarim and Fizz so far in the Summer Split and in the Spring Split he has played Gnar and Rumble. These champions are showing that he is playing tank champions who deal a lot of damage, but he can also play disruptors who wait for the best moment to control the entire team. Score used to be KT Bullets’ AD Carry, but switched to playing jungle after the KT Rolster teams united. His most played junglers have been Rek’Sai, Evelynn and Sejuani so far in the Summer Split and also played Jarvan and Lee Sin in the Spring Split, but he didn’t find success on any of them, having a 5-8 record on Jarvan and 0-6 on Lee Sin. Score is a player who prefers champions that do not require a lot of mechanics and he likes to wait in the flank for a good initiation for his team. Nagne is another player who switched roles, this time from jungler to mid laner. He started his career with n.Die Guts and stayed with them until he was picked up by NaJin Black Sword in 2013 for which he played on the mid lane. Nagne, so far, has played Cassiopeia, LeBlanc and Orianna in the Summer Split and the likes of Lissandra, Ahri and Ezreal in the Spring Split. His champion pool is very big, containing everything from assassins to control mages and mid lane ad carries. This says a lot about his play ever changing play style. One game he can play aggressive, on another game he can be as passive as a snail. Arrow is yet another player who began his career with Xenics Storm and was picked up by KT Rolster Arrows in 2014. His prowess and the team play with the rest of Arrows made them win Champions Summer 2014 after a 3-2 with Samsung Galaxy Blue. His most played champions in the Summer Split are Sivir, Kalista and Jinx, while in the Spring Split he has mostly played Corki and Kog’Maw. These champions show that he trusts his support, Fixer, completely, playing champions who need some ramp up time, such as Kog’Maw, Jinx and Kalista, but he is also confident in playing champions that are able to poke his enemies easily, thus making sieging and pre-fight poking very easy. Fixer is a new player on the scene, beginning his esports career with KT Rolster in February 2015. It is still to be seen if this player can keep going strong against top Korean teams and maybe even international teams. His most played champions this Split are Alistar, Braum and Annie, while in the Spring Split he played a lot of Thresh, Leona and Janna. Even though his champion pool is rather big, he has found most success on Thresh, Braum and Alistar. These champions are all great at initiating fights and peeling for their team afterwards. They mesh in well with Arrow’s champion pool, being able to support him when he picks champions with weak laning phases to the extent here he is able to dish out loads of damage. 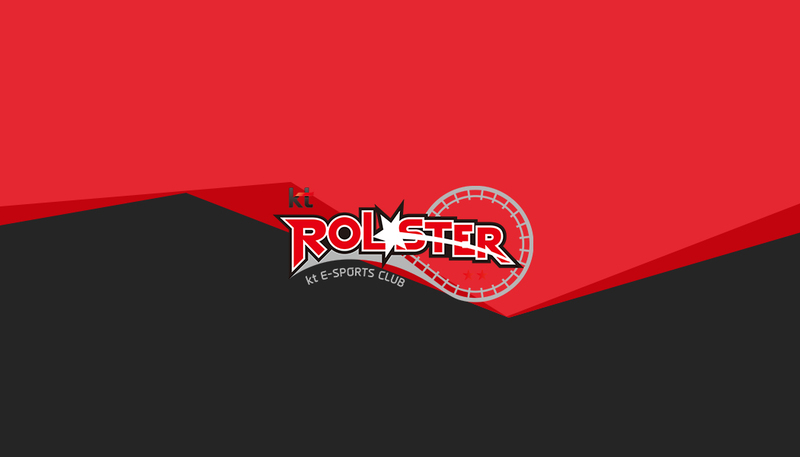 KT Rolster is a team whose strategy revolves around playing the laning phase as well as possible and capitalizing on enemy mistakes rather than trying to make aggressive plays and have a chance to fail, thus giving their enemies a lead. In conclusion, Korean teams have two kinds of play styles: they are either playing a controlled-aggression strategy (SKT) or a passive-aggressive strategy (CJE and KTR). After last years, does anybody still thinking that exist greater team than SKT? These Korean fellas just show to the whole world that they are the best in the League pro scene, by winning three world championships! And I almost certain that they will win the LoL World Championship in 2017! Yeah SK Telecom T1 are the best!